When it comes to managing, working with or marketing for a business, a professional image is everything. You want customers to see the brand and identify it with a company they can trust, rather than think of it as suspicious or even uncredible. One way to present the business brand in a positive light with clients and potential customers is through the photos shared in various marketing avenues. Whether you choose to take photos with a quality camera or a simple smartphone, there are specific ways to ensure pictures turn out clean, crisp and professional. Here’s how to take professional business photos. 1. Invest in quality pictures. First and foremost, consider your goals for the professional business photos. Do you want to use them in a marketing campaign? Maybe just for a social media post. Or, perhaps on the website. No matter how you decide to use them, consider the investment you want to make. If these pictures will help gain a significant return, then it’s probably worth it to invest in a quality camera for the business. Even if you choose to use a smartphone to take the pictures, it could be worthwhile to invest in editing software, a photography light or even a nice backdrop for headshots. Whatever your goals are for the photos, the investment should align with the expected return. 2. Take advantage of natural lighting. Natural lighting is almost always better than the lighting indoors or with a flash, particularly for amateur photographers. Whenever possible, shoot outdoors when developing any stock photography for the business’s marketing efforts. If you must take pictures indoors, try to avoid using flash whenever possible. Instead, use a steady light, such as a light ring or a professional photography light. Whatever the source of light, always make sure subjects are facing it rather than having it behind them, to brighten up their faces and avoid dark pictures with low contrast. 3. Remember the rule of thirds. Every good photographer knows the rule of thirds. This simple principle will help photos look more professional without much adjustments. Photos tend to look best—and less amateur—when subjects are just slightly off-center. For instance, visualize two horizontal lines and two vertical lines crossing the image area of the photo. When taking a photo of a person or an object, place it where the lines cross. Consider the picture of a sunset. You wouldn’t want the horizon in the exact middle of the picture; instead, the land should cover the bottom third of the picture, the sunset in the middle third and the rest of the sky in the top third. These areas are the best spots for subjects because it gives the photo a stronger sense of movement, urgency and interest. 4. Have a clear subject. When it comes to developing marketing photos in particular, it can be easy to take “busy” photos—images with lots of people, lots of products and lots of stuff going on. These pictures can be overwhelming for customers, and definitely appear unprofessional. Instead, identify a clear subject for the photo and focus it on one object, interaction or person in the shot. This draws viewers’ eyes into one specific spot, so they can quickly and easily grasp the concept of the photo and connect with it. Finally, editing. In addition to taking quality photos, you will also want to use quality editing software. This editing software might be the built-in filters which come with the smartphone; they could be a free online editing program like PicMonkey; they could even be the industry standard, Photoshop. Whatever you decide to use, keep editing decisions simple and clear. Use software to crop, adjust brightness and color, but don’t go overboard with extreme filters, extra frames or text. Editing should enhance the photos, not completely overpower them. If you want to enhance business marketing, don’t be afraid to step out of your comfort zone and experiment with photography. 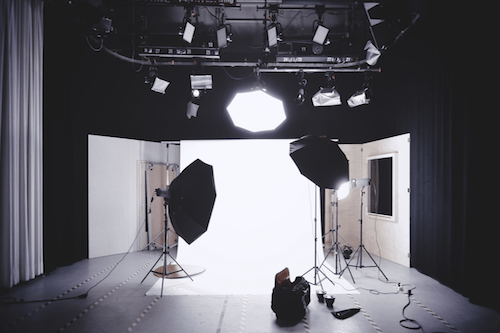 Take advantage of these tips to learn how to take professional business photos which can enhance your marketing efforts and grow the business.